In their regular season finale with the No. 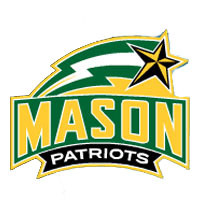 1 seed in next week’s Colonial Athletic Association Championship locked up, the George Mason men’s basketball team held off a feisty Georgia State squad for the Patriots’ 15th-straight win, 65-58, on Saturday evening at the GSU Sports Arena. The Patriots closed out the regular season with a 25-5 record and tied a league record with a 16-2 finish in conference play. GSU fell to 11-18 and 6-12 in the CAA following the loss. Senior Cam Long scored 19 points, all but three in the second half, to lead a trio of double-figure Patriot scorers. Junior Mike Morrison registered 14 points on 7-of-9 field goal showing while redshirt freshman Vertrail Vaughns added 12 points. Josh Micheau had 17 points while Jihad Ali contributed 10 to pace the Panthers, who will be the ninth seed and face UNC Wilmington on Friday afternoon at noon. The winner of that game will face the Patriots at noon Saturday afternoon. Mason trailed twice in the second half but pulled away down the stretch. Tied at 54 after a Micheaux layup with 2:59 remaining, the Patriots rattled off six straight points and the Panthers got no closer four in the final moments. It extended the nation’s longest winning streak to 15 straight games, and captured their 10th road win improving upon a new record under head coach Jim Larranaga. The teams struggled from the field in the opening minutes, combining to connect on just five of their first 20 shots. GSU led early at 4-0 but Morrison slammed home his first dunk of the evening to give the Patriots the lead at the 15:17 mark, 5-4. Keeping within a possession for the next five minutes, the Patriots used a 10-2 run to open up their largest lead of the half at 20-12. GSU scored a 9-2 run of their own to make it 22-21, and the score was knotted up at 24 on a 3-pointer by Javonte Maynor with 3:27 to go in the half. Mason closed out the period with seven of the next nine points and went into the halftime locker room leading 31-26. Vaughns was a perfect 3-for-3 from the field, all behind the arc, in the opening half and scored 12 to lead all scorers, while Morrison added 10 points on 5-of-7 shooting.